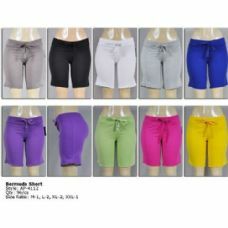 Looking for great deal on womens wholesale shorts? 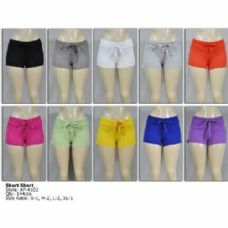 Wholesalesockdeals has everything you need from wholesale basic black bicycle shorts to cute summery athletic cotton shorts. We carry many styles of trendy denim shorts in various lengths, knee length with rips and frays, wholesale denim short shorts and everything in between. You can save on our wholesale athletic shorts in bold neon colors with elastic wasitband perfect for running and working out , or choose our longer length bermuda shorts in every color with a drawstring waist and front pockets just what you need to for playing golf and sailing. Get everything you need at low bulk prices when you buy from wholesalesockdeals. Save big this season on all of your ladies wholesale apparel needs. 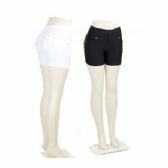 Stock up on womens basic wholeasale summer shorts at this seasons lowest prices. We offer special promotional savings to many charities like homeless shelters, government agencies, hospitals, schools, and military training bases around the country. 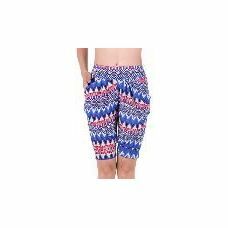 Wholesale womens athletic shorts and biking shorts are the perfect promotional giveaway item for marathon teams and fundraisers . print your team logo and really get into the team spirit with wholesalesockdeals basic black biking shorts. Shop with wholesalesockdeals today and start saving!